We currently have a pub to let in Crewkerne in a fine old building in the centre of town. This popular Free House comes with a three-bedroom apartment and many good reviews online. The White Hart Inn, a Free House with many period features that is purported to be one of the first properties built in Crewkerne in the 14th Century, is available for let/lease from early September. There are 3 designated seating/bar areas, each with an original fireplace and mullioned windows with secondary glazing. A substantial function room is found on the first floor with its own bar and skittle alley. There is a small, enclosed outdoor area to the rear of the property. Office space available to rent in a rural commercial business park with easy access to the A303/A36 interchange (2 mi) and main line London – Exeter rail services at Tisbury (3 mi) and Salisbury (12 mi). The property comprises office space spread over two floors along with a covered ground-floor storage space, all in all 6010 sq.ft., within a converted Victorian farm building complex. The available area can easily be divided into several smaller units as required. 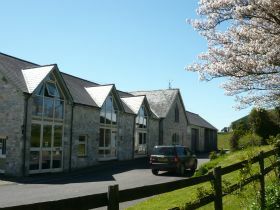 The offices were converted in the 1990s to a high specification for flexible office layout and networking with fibre optic broadband via a choice of suppliers. The office space consists of a mixture of offices and meeting rooms along with toilet facilities and kitchen areas on both floors. There is adjacent parking for 20-25 cars.